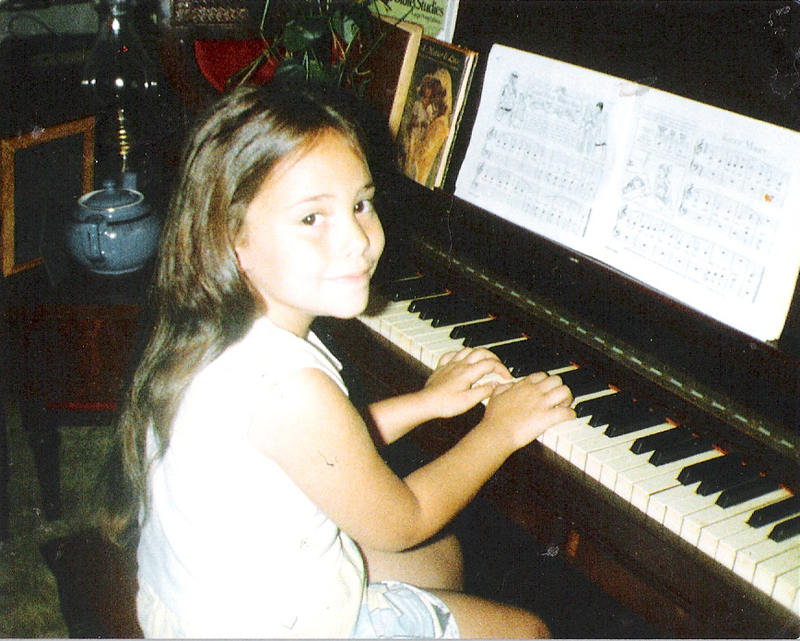 Look at Lindsey Turner learning to play the piano. Do you see how she's doing it? Do you? DO YOU? Imagine the scene: I'm at some social engagement, politely chatting to someone I've never met before. All's going swimmingly and I'm fulfilling all the standard social mores expected of me at this time: exchanging superficial personal information, where we're from, what we do, our interests, etc, etc. At that point, I mention that I play the piano. "Ooh, the piano?" they respond, wide-eyed as if I possess some exotically esoteric knowledge. There is a ponderous pause. "You play the piano?" they repeat. "What? With both hands?" Is it just me? Is that not the most irritatingly inane question you can ever ask someone in your entire life of inanity? Am I the only person that gets asked this? Yes, of course with both hands, because if I didn't play the piano with both hands, I wouldn't be able to play the piano, would I? Yes, you may have learnt Twinkle Twinkle Little Star on your grandparents' piano when you were 8 (or more correctly, you learnt the melody to Twinkle Twinkle Little Star, played only with your right hand), but that doesn't mean that you play, played or could play the piano! There aren't two levels of piano-playing - one in which just one hand is used and the other, for the especially gifted, that mystifyingly uses both hands in tandem. Does this staggeringly profound level of ignorance extend to other types of musician also? When a violinist tells you what they do, do you similarly gasp and ask them if they play their instrument with both hands? What about a flautist? Or a guitarist? Tell me: Have you ever asked a guitarist if he plays his instrument with one hand or two? Right ... let me straighten myself out ... take a deep breath and compose myself ... OK ... you see, the piano is a bimanual instrument; it's quite clearly a bimanual instrument. Yes, it's true that you can sound notes with one hand, even play a little tune single-handedly, but what grown man in his 30s states to a stranger at a party that he plays the piano, when all he can really do is tinkle out the tune of I'm a Little Teapot with his right hand? Seriously. Tell me. Did you think for a second that was the case? What is this post even about? Umm ... oh yes ... the word bimanual: performed with both hands. My apologies for my rant - the word stirred a deep and righteous rage inside me, one that is perpetually repressed by British manners that force me to smile politely and reply that yes, I do play the piano with both hands, I'm just that damn good. It's a long shot, but do you have any obviously bimanual skills that people ask if you do with one hand? Conversely, do you have the ability to perform a bimanual skill with just one hand? Do you have any idea what this Tings Tings song is actually about? Do please leave your bimanually typed comments below. Anyway, apart from that, my left side is severely underdeveloped. It's practically the third world of planet Bibi. I've never know anyone to type with only one hand - except a character in a James Bond film (Goldeneye, I think), who was in the habit of typing with one hand while manically twiddling and clicking a pen in the other (how annoying would that guy be to work next to??). This was a plot device, though, as Bond was able to leave an explosive pen on his desk. Pah! And might I suggest omnidigital? That's 'all' and 'fingers', so perhaps it could be for something where you use or need to use all your fingers. That's why it's silly people ask. The 10 fingers thing is more understandable, some people just use two or whatever random finger's closest to the letter they want to type. Oh, omnidigital... that's a good one! Does it exist? It should exist. After a cursory search: no, I don't think it does - we have ourselves a neologism! Woot woot! Now, what skills are out there that are truly omnidigital? I always tell them to be glad they're not an octopus. I think you're right - did I read somewhere once that an octupus has legs and arms, or hands and feet? I think I did. Well done on the rant, your always so calm, I'm delighted to see the other side. Is a fun past time I invented......but myth busters will claim they did. For safety reasons the Bimanual shooting had to come to an end, but I'm glad I have the skill set! Bimanual shooting? Like in John Woo films where cops and bad guys alike run around firing pistols with both hands? I can knock something irreplaceable over with my left hand whilst comprehensively rendering useless something expensive and electronic with my right hand. It's a sublime gift I have yet to find a way to exploit financially. Quite. Art galleries and museums must be dangerous places for you.